Center for Congregations, 2016. Accessed November 19, 2018. Recent studies and congregational experience show that a positive approach can successfully address “adaptive” or non-technical issues in a way that a focus on problem-solving cannot. This article, from an organization with years of experience helping congregations find and use resources, discusses four highly effective processes leaders can use. 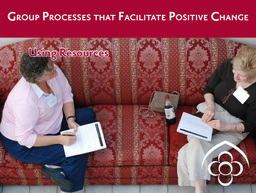 These processes are Appreciative Inquiry, Asset Mapping, World Café and Open Space Technology. Among them they utilize positive language, evoke positive emotions and memories, and reveal assets that already exist within the group. There is also guidance on when to use each process. Additionally, readers will find tips for practical and logistical tasks such as how to assemble a leadership team, and things to think about when designing meeting space. A link to further resources invites deeper exploration. This article provides a simple yet inspiring introduction for any leader looking for creative, asset-based ways to address ministry challenges and opportunities.